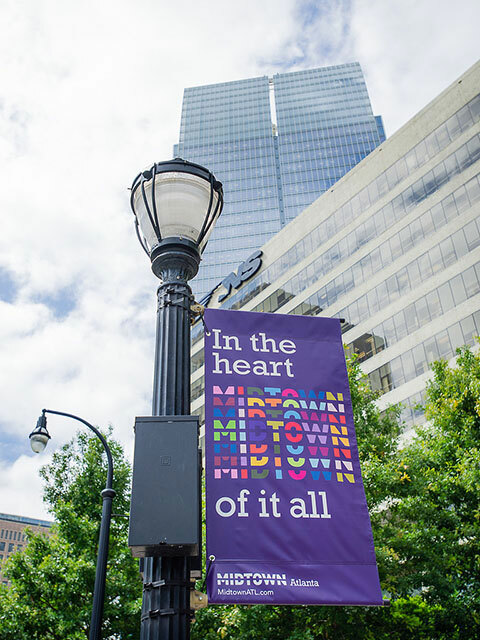 Midtown Atlanta is the Epi-center of business, fun, culture, art, shopping and dining. 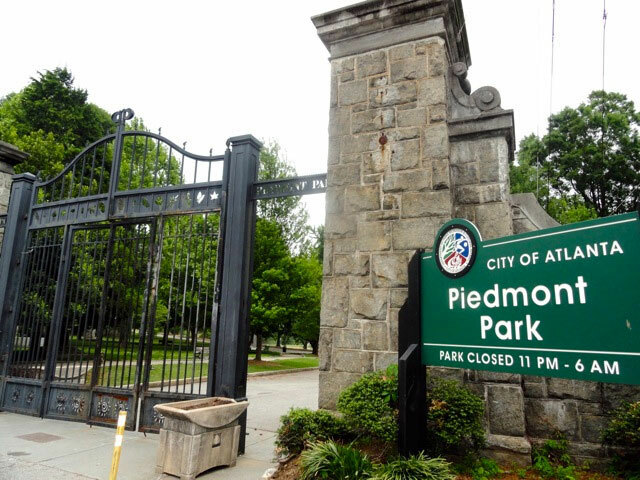 Put on your Fitbit because this is the most walkable of all Atlanta neighborhoods (See Walk Score). 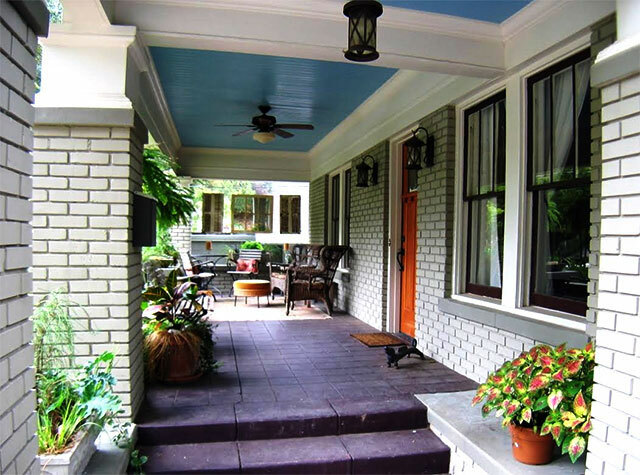 The Midtown Garden District is a small area of single family and low-rise multi-family housing that lies between Ponce de Leon Ave (south) and 10th St (north) and Piedmont (west) and Monroe (east). A small section lies east of Monroe Dr and west of the Lakeview Ave. The area west of Piedmont and East of the Connector (Juniper, Peachtree, W Peachtree and Spring), the Peachtree Corridor, is generally made up of condominium and apartment housing. West Midtown is on the west side of the Freeway. 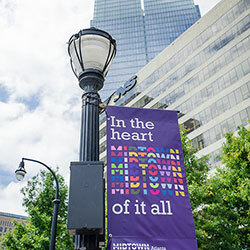 Midtown is marked by its cultural attractions, institutions of higher education, noteworthy architecture, and urban layout. 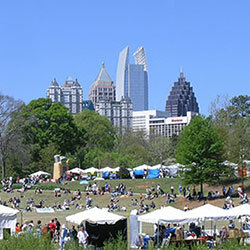 The district is the center of the city’s arts scene that includes Piedmont Park, the Fox Theatre, Woodruff Arts Center, the High Museum of Art, the Museum of Design Atlanta, the Atlanta Symphony Orchestra, the Center for Puppetry Arts, and the 14th Street Playhouse. Jump to local attractions map of Midtown. 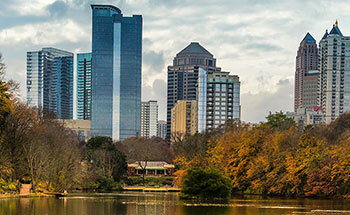 Visit the website of Midtown Atlanta Neighborhood Association (MNA). 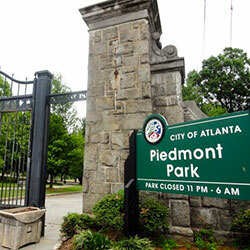 Check out updates for Midtown Atlanta on the Real Estate Blog Site, Curbed. 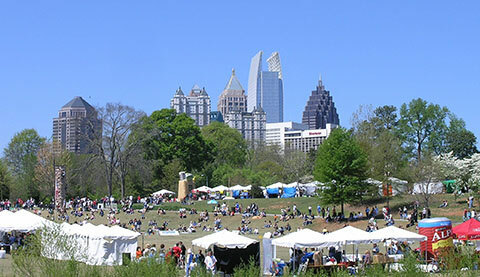 There’s always something happening in Piedmont Park and/or Midtown so just check the calendar here for what’s next: Midtown Atlanta Calendar. And, NOT TO MISS! the Tour of Midtown Homes. 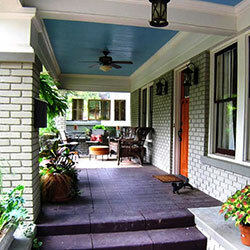 Search for Atlanta Midtown Homes Now using the Environs Midtown Saved Search tool.